For me the hardest part of the High Performance Leadership (HPL) was deciding what to do. It wasn’t that I lacked vision, I had plenty of ideas but which one? I settled for something straight forward – organise our Area Christmas social. My unofficial mentor Steve Brewer, was not impressed. “You could do that with your eyes shut”, I was told. Damned with faint praise or a back handed compliment? Either way I could tell I was not going to get away with just box ticking, not if Steve was going to be on my Guidance Committee. “Can’t you do something in your work place?” Steve suggested. I wrestled with that suggestion. For one thing is it just me or are others reluctant about coming out at work and telling them you are a member of Toastmasters as is if you are revealing a weakness that might be seized upon and used against you? Secondly one has to be very careful about delegating at work. The danger of being thought to be getting above one’s station and antagonising the “who-does-she-think-she-is-telling-me-what-to- do?” brigade. I thought long and hard and then I had a Eureka moment! During my peer teaching for my Post Graduate Certificate of Education teaching qualification I had been involved in research investigating the benefits of video recording teacher’s performances. In my workplace we also did peer review. 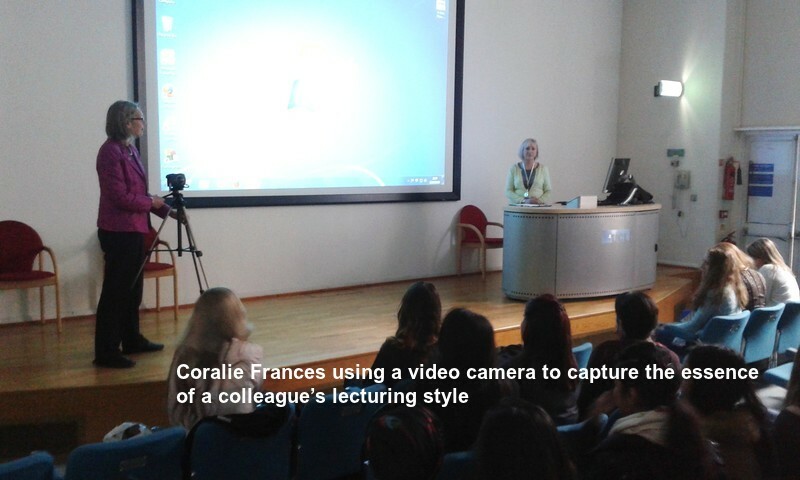 I embarked on a mission to introduce the video recorder into my colleagues’ lectures. Once I had the brainwave the rest of the jigsaw fell into place, so to speak. I approached my colleague responsible for peer review with my idea and once I had convinced her that being on my guidance committee was not going to be too time consuming ( my guidance committee, comprising my work colleague, Steve Brewer and Alan McMahon, met via Skype) she was delighted. She had an ally with a common interest intent on ensuring the sometimes reticent lecturers complied with their mandatory peer review. We had a common goal. As we envisaged, there were some lecturers only too eager to star on video, others who needed a certain amount of persuasion and a small minority who ran every time they saw the video camera but it had the effect of ensuring they were timely with their peer review even if just to avoid me and that camera. What did I gain from completing my HLP? All aspects of my leadership abilities were developed and strengthened. Undertaking the project forced me to address areas which I would previously have shied away from. Sharing my ideas with colleagues, and delegating, giving others the opportunity to manage tasks rather than feeling I had to do it all myself; persuading and winning round doubters to my ideas. (Bringing people on board); supporting colleagues and feeling comfortable with monitoring progress without feeling that I was being over bearing; helping colleagues to develop in areas that were less familiar to them (I found there were people in the workplace who were bigger technophobes than me and appreciated my help) and most importantly for me, remembering to praise and thank others so that they realised how much they were appreciated. Carrying out the HPL at work elevated my status and gained me my first “outstanding” tick in my annual appraisal for doing something for the department and not just for myself. 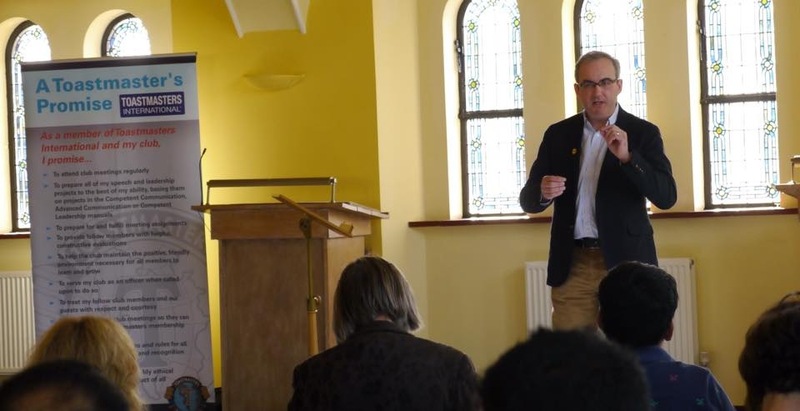 Rather than regarding my membership of Toastmasters as an inadequacy, I found my colleagues were somewhat in awe and admired me for being brave enough to do “Public Speaking” and to commit to the extra work required voluntarily. I gained my HPL and consequently my Advanced Leader Silver award for completing all requirements needed. Definitely a win – win scenario. I know that you won’t believe this, or maybe you will, but when I was in my teens and early twenties I was young enough and arrogant enough to really think that I knew everything, I knew the best way of doing things, it had to be Plan A or in other words it had to be Plan Alan . It was all about meeeeeeeee! A few hard knocks from life, and entering the world of real work, and I soon came to learn that to achieve your goals you must instead always go with Plan B, which was of course the BEST plan. And that BEST plan was very often found and made to happen when other people were involved, in other words when you had have a team working at and making the plan a reality. Knowing that I decided that when it came to being the Area 61 Governor last Toastmaster year it was not going to be based on a single person …. The vision was that the Governorship was to be a team effort. The hope was that this approach would continue in the year ahead with the renamed role of Area Director. The first step of in this was to be have two Area Governors which happened with, Steve Brewer, who had the formal title Assistant Area Governor but who was in reality a joint Governor. The vision continued with the idea that the Area Governorship was to be a Team of people and much bigger than the two of us. We wanted huge support and input from as many of the Area members as we could get. 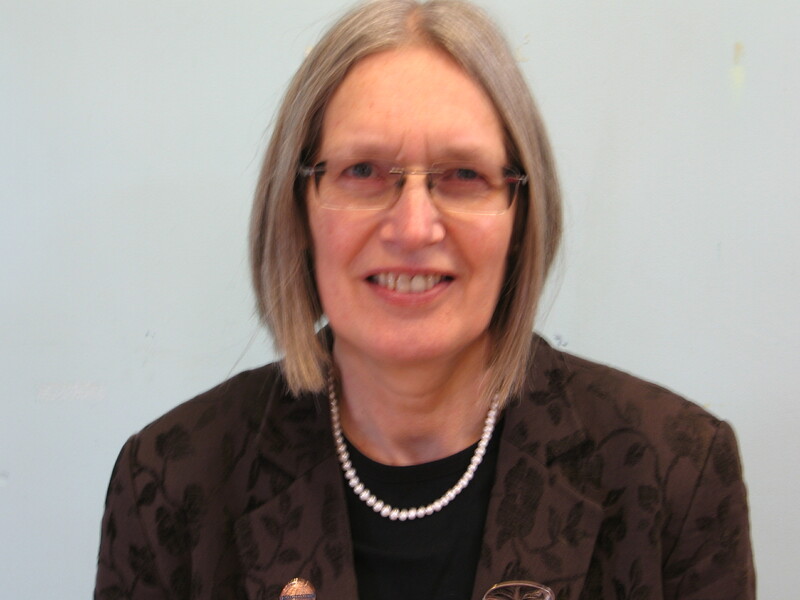 The previous year’s Governor Coralie Francis joined the Area Team ( Council), and along with her many of the Club Officers and Members from our five Area clubs including Gill Orstein, David Phelops, Mike Freedman, Peter Jacques, Indra Sikdar, Rob Edlin, etc, etc, etc, etc, etc ……joined the Team. All of this focus on teamwork was very deliberate and gelled exactly with making my Area Governorship year the focus of Toastmasters High Performance Leadership Program (HPL). 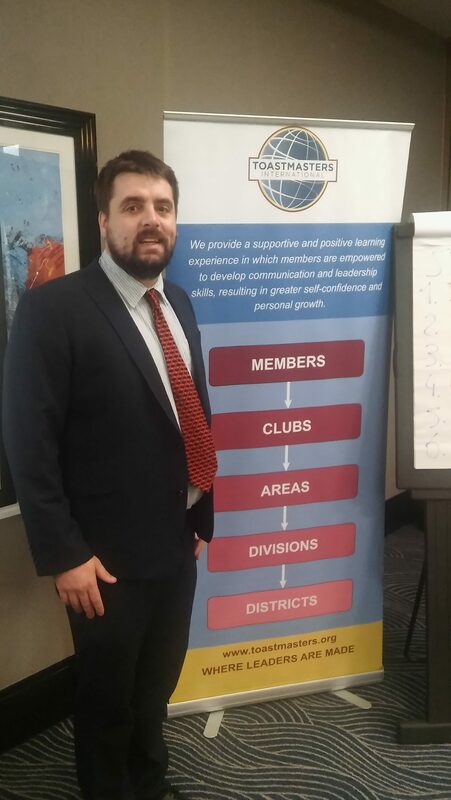 My time as assistant Area Governor and Area 61 Director has encouraged me to think wider and deeper about the Toastmasters education program: what it means for me and others as even I move closer to the DTM award. My biggest fear was that my Toastmasters journey would become a succession of tick boxes – different speeches that I gained with minimal inconvenience as the memories of the fear and excitement felt in my icebreaker speech melted away. 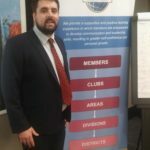 I asked myself whether I was staying at Toastmasters only to be a better Toastmaster or did I have an opportunity to do something different? Could I use my communication skills to make a change and makes things better? Fortunately there was a hidden gem in the long grass of the requirements for the Advanced Leader Silver award. This gem was the High Performance Leadership Project (HPL). This can be done and banked at whatever stage of the TM program you are at. The HPL has reignited my aims of improving with every speech and continually learning from the journey. It is an “action-learning” program that will help you to develop your leadership skills. It uses a 3 part learning process – study, action, and feedback. Grassroots football is typically a term used to describe amateur football. Junior clubs that support children of all abilities tend to be described as grassroots football clubs, rather than professional football clubs. In order to compete in affiliated leagues clubs need to be affiliated to the Football Association or FA through their local county FA. Many clubs are run primarily by overstretched coaches who are doing all the admin roles as well. Communication is typically poor leaving a less than optimal experience for many of the stakeholders. These stakeholders include the coaches, parents and not least the young players, the very people we are hoping to inspire. A key reason for doing my HPL project was to make a difference and improve on the status quo. My project was to take a club that was effectively failing and transform it into a one that regained it FA Standard Charter Status.